This is our flagship carry knife. Designed with meat in mind but still more than capable to peel open a tuna can. It just fits. 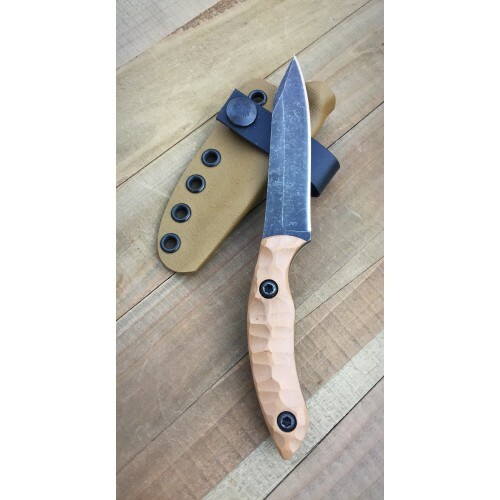 AEB-L stainless steel 3/16" at 7.25" tip to tail. 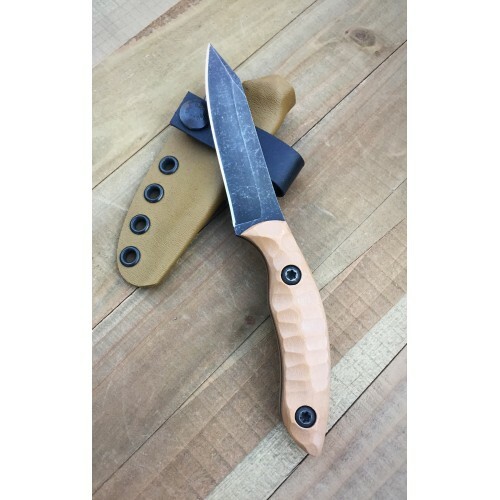 Tan G-10 handles with an oxide etched finish. 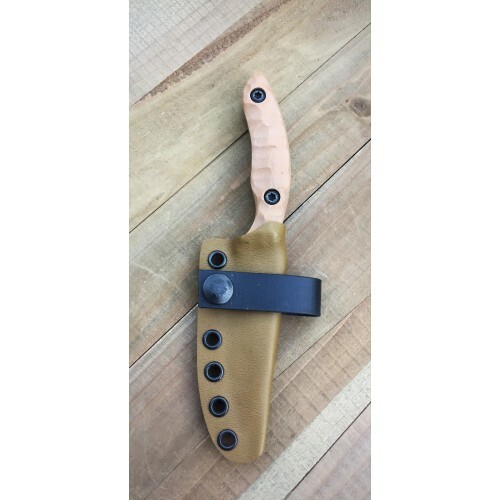 Includes a coyote kydex sheath setup for reversible carry.